dancers know their own body. A contact improviser must know both. Where does a meeting of two bodies’ ends and a contact improvisation dance begins? Where does a bodywork therapy ends and a journey of two bodies begin? In this workshop we will try to see the similarities and differences between contact improvisation and a session of bodywork and massage. Traditionally a workshop or a jam of contact improvisation ends with a bodywork session, the dancers and participants, many of them professional body therapists, share their knowledge of relaxing the body and massaging the muscles and joints.In this workshop we will learn and explore the principles of moving another body without effort and being moved without unnecessary tension. This workshop is not about the high physicality or acrobatic side of contact improvisation, nor is it about the “choreography” of a specific massage session, but rather on the exploration of what happens in the body when it is being touched in different ways and manipulated into movement, what are the principles behind a treatment and what is the meeting point between two bodies. What happens in the body of our partner, but also and as important, what happens in our own body as we move into physical contact. For body-workers this workshop will add some insights into movement, manipulation and relaxation in a moving body. Seeing yourself and your partner (either dancer or client) as one unit in dance. This workshop is a great experience for body-workers and therapists that have not yet encountered the world of contact improvisation and is also a wonderful opportunity for contact improvisers to meet another side of this beautiful dance. Part 1– feeling, sensing and exploring different tissues and movement in the body. Bodywork session going into dance. Part 2 – manipulating, moving together, and relaxing inside the session. Contact impro as a massage and body therapy. This workshop is being offered with collaboration from “De Akademie voor massage en beweging” in Amsterdam. 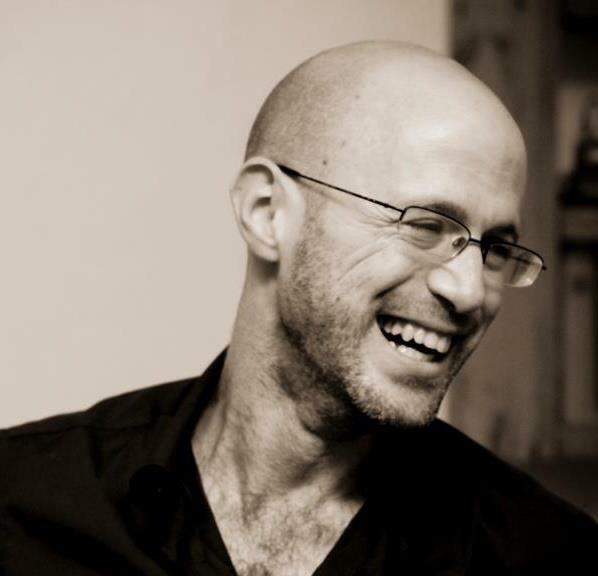 Tom Goldhand has been working in the field of movement and somatic over the last 12 years, he is a dancer and teacher in the field of improvisation and contact improvisation, a group facilitator and a certified body therapist (Ilan Lev method). Tom holds a Master degree in Dance Therapy. For the last 5 years he has been the movement teacher for the 1st and 2nd year in the Massage Akademie in Amsterdam. AND A REGISTRATION IS REQUIRED. (last time the workshop was full 2 weeks in advance). Super Early birds price (until 23.1) – 65 Euro (Limited to first 6 Participants). Early birds price (until 10.2) – 75 Euro. Regular price (After the 10.2) – 85 Euro.